Daily scripture with journal entry in your inbox. Subscribe to get the daily Bible reading in your inbox. Each day someone will be journaling on the reading. The challenge is to read the word daily. We also want to encourage you to post your own journal entry in the comments. Interested in how this got started? Learn more. Cindy Schaumburg on What Do You Want? Simone Walsh on Is God Enough? Brad Arnold on Heads or Tails? Duane C Farrington on Worthy of imitation? Jane Harris on Good Enough? Jane Harris on Yes I want to be healed! Jane Harris on What are you thankful for? Jane Harris on Did you have any meaningful conversations? Discerning Faith – Good Books, Takeaways, Stories & Lessons Learned on You are [not] awesome! Jane Harris on Why doesn’t everyone worship Jesus like that? Rick Jebb on The Price of Sin and the Value of Grace. Jane Harris on The Price of Sin and the Value of Grace. The last few weeks at church we have been reading in John and discussing the many many events that happened hours before the death of Jesus. Using figures of speech and talking plainly Jesus spoke so we can read today and have hope, faith, love for Him, ourselves, and others John 16:25. In these hours before a betrayal Jesus sat down with his disciples first showing how we should serve others John 13:16 , take heart in tribulations, be not of the world, and that God loves us with the same depth as His only son John 17:26. In the second half of 1 Corinthians 11:17-34 we read about the Lord’s Supper. This is a part that Christians have read and listened to every time we take communion. Starting at 1 Corinthians 11:24, Paul writes how the bread and the cup represents the body and blood is taken in the remembrance of Jesus. Verse 1 Corinthians 11:26 is that reminder to us that we proclaim the Lord’s death until he comes. 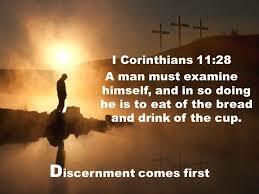 In 1 Corinthians 11:28 Paul talks about us examining ourselves. Yesterday, as Brandon Grant read and preached from John 17:20-26 he talked about The Oneness that Wins the World .This Oneness challenged me to be reflective in my desires and the oneness I have with others. I felt this examination run through my mind and in my heart. As I reflected on my prayers, engagement in others, and the sacrifices that I should make for God and His kingdom. These thoughts continued through the night as I read through this part of 1 Corinthians 11:28 into now. I asked myself how many times I have had the Lord’s Supper and not examined myself. Remembering that it is the Lord who truly knows our hearts and will judge us. 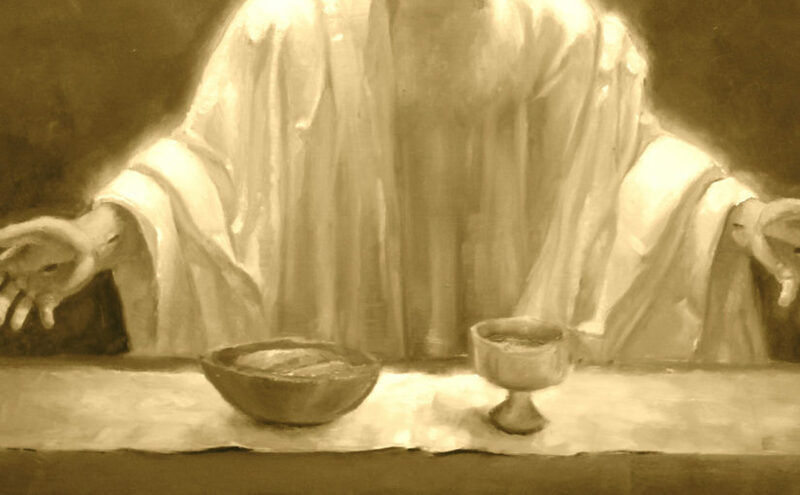 In our time of communion, eating the bread and drinking the cup shows that we are remembering Christ’s death for us and renewing our commitment to serve Him. In this time of communion, instead of thinking of what plans I have that will follow that service I need to be thinking about what Jesus did and Why He did it! Taking the Lord’s Supper should be a time when I can examine myself for any unconfessed sin or resentful attitudes. What barriers am I hiding that affect my relationship with Him and with other believers.